By 8:00, we'd walked down to river from cabin and walked back up. 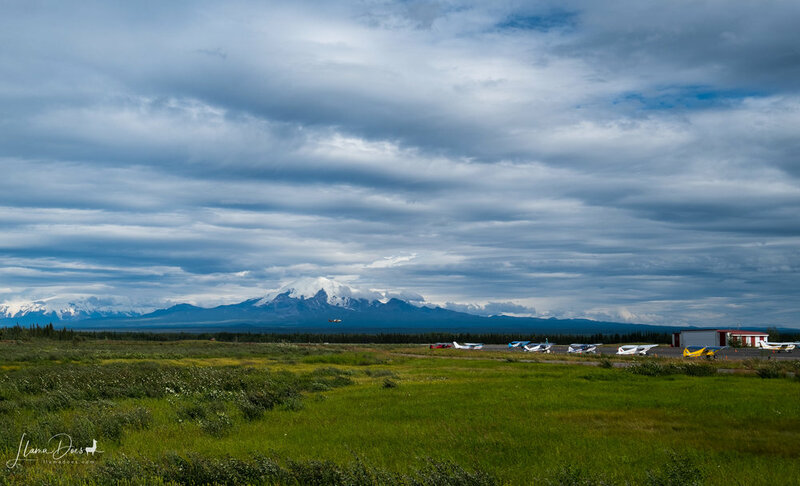 We hit the road for Wrangell- St. Elias National Park, the largest national park in the USA. At the main visitors center, we were told the shuttle for McCarthy and the historic Kennecot Mine had already left for the day. If we wanted to drive the largely washboard gravel road, we were more than welcome. It takes about 4 hours to go the 62 miles from Chitina to McCarthy. 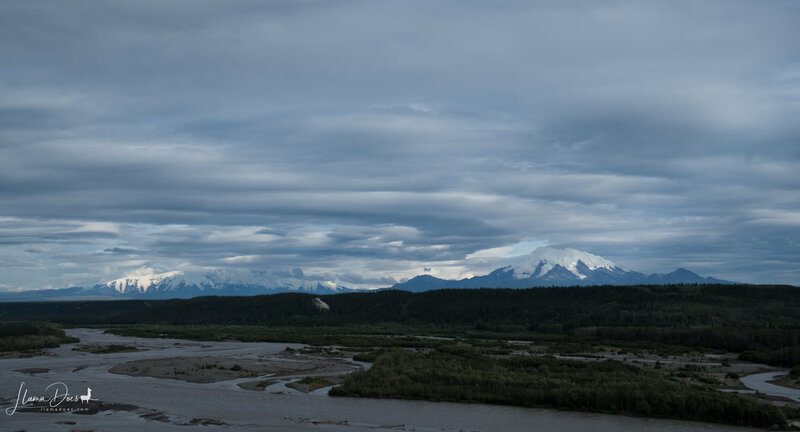 We decided to go to Chitina anyway as we heard it was a beautifully historic town. As with most places, we are finding that they are remote and isolated. Chitina has an amazing gallery called Spirit Mountain Artworks. As I was browsing, a cute necklace caught my eye. Turns out the artist, Shasta, was the lady working in the shop. How cool is that?!? There were so many of her pieces that I wish I could have purchased for amazing gifts. If you are interested in any of her work (mostly silver), you can email her at flyingheart54@gmail.com. All of the pieces to her left in the photo are her original designs that she handcast. Chitina also had a ranger station where I might be able to buy a patch for my backpack... no ulterior motives. The nice ranger wanted to see my pack, but unfortunately I'd left it at our Airbnb cabin. Here is an updated photo. She also told us that the first 16 or so miles of the McCarthy Road are (mostly) paved; think county roads or rural farm to market roads with ample potholes. 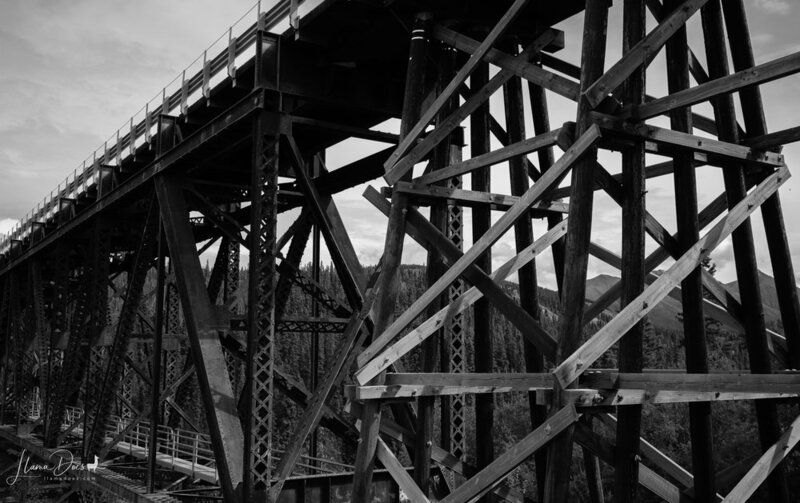 We drove to the Kuskulana River Bridge that stands 238 feet above the river. After turning around, we headed back to Chitina where we stopped at the Chitina Hotel for lunch. On the road again, we stopped at Liberty Creek Falls State Park. I was surprised that the campsites were right next to the falls. It would be a lovely place to camp. Day 29 stats: 205 miles, 0 (new) states, 1 NPS, 25 Subarus. Running stats: 5,775 miles, 13 states, 27 NPS, 1,414 Subarus.